It's been a tough week for people who had desperately hoped that Kourtney Kardashian and Scott Disick would be endgame. Unfortunately, it looks like things just weren't meant to be for this one-time power couple. 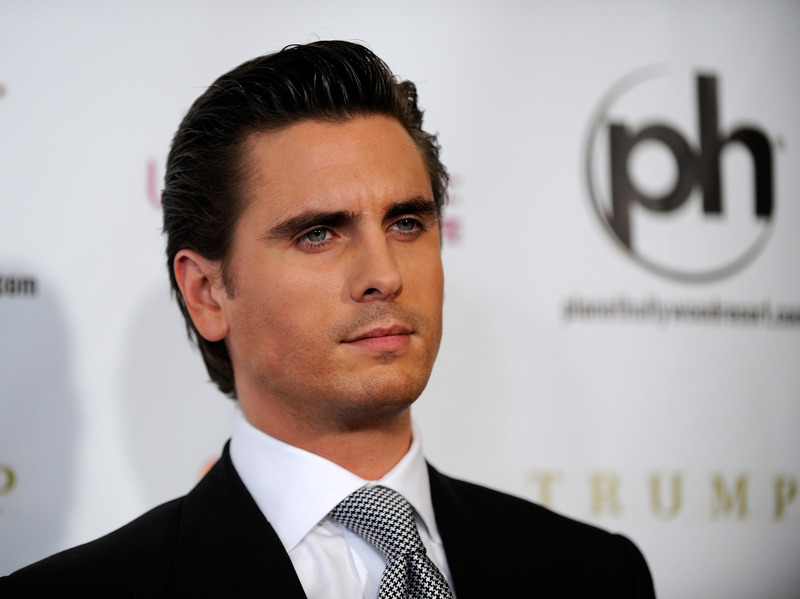 Shortly after some alarming photos of Disick and his ex-girlfriend Chloe Bartoli canoodling in Monte Carlo surfaced over Fourth of July weekend, "solid" sources revealed that Disick and Kardashian had reportedly decided to breakup after nine years together. The couple may have never felt the need to tie the knot like Kardashian's sisters Kim and Khloé, but they were raising three children together — Mason, Penelope, and Reign — making the situation even sadder than your normal celeb breakup. Now, Disick shared a birthday message for his daughter Penelope with a caption that will make you feel heartbroken about his breakup with Kardashian all over again. Penelope turned three on Wednesday, and, according to reports, spent the day in Disneyland with her mother and other family members, including grandma Kris Jenner and her aunt Kim. Disick was reportedly missing from this family outing — reports say he spent July 8 in Boca Raton — but he did take the time to send some social media love to his daughter. While the photo collage Disick chose of his daughter is sweet, the caption is just a touch sad, reading, "1 of the only things I'm proud off about myself. Happybdayp." It's a bummer that Disick considers his children to be one of the only good things he's done in his life, especially with his recently history. Disick reportedly recently attended a rehabilitation program in order to get his drinking under control, but the reality star hasn't exactly stopped partying. In fact, it was only Tuesday that he posted (and deleted) an Instagram in which he summoned fans to come party with him at the club 1OAK in Las Vegas. Disick may not be speaking up publicly about his reported split with Kardashian, but, from his Instagram, it's pretty clear that he's having a tough time. Whether his confidence has been shaken by these reports or if he's struggling with something much larger, let's hope that Disick gets the support he needs.